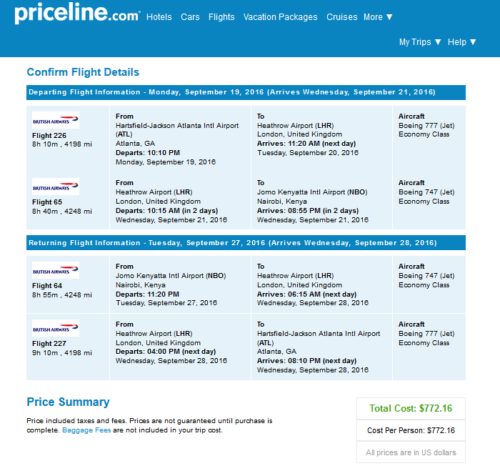 ITA will price this at $843, using those dates on Priceline should price at $772. Valid for travel on the outbound from September – October or April, 2017 – early May, 2017. Must purchase at least 7 days in advance of departure.